After working in Marketing for 10 years, I left 2 years ago to start a family. While still working freelance from home and minding my 2 gorgeous babies – I found myself with no free time for getting to the gym and really just eating on the run I needed a break and to see if I could do something more for myself and so that was when I started to look into ways of improving my own health. It’s widely known that since the mass production of food began the average person today is 3 stone heavier than they were in the 1950′s. I did a lot of research into juice cleansing, because I was tired and run down, and I started to experiment with how long I could manage it for. I have quite a healthy lifestyle anyway in terms of food, so after researching, I began juicing to really try and boost my system and cleanse all the toxins. Within just a few days I saw a massive improvement in my health; I was sleeping better, I had more energy, my skin was clearer and even the whites of my eyes looked brighter. And as a bonus I had also lost some weight. 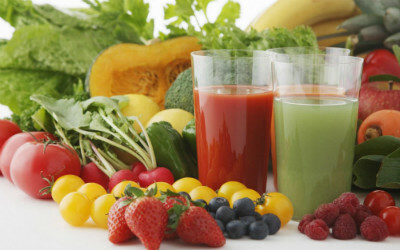 I juice all the time and I regularly do a 3 or 7 day detox, and I have found that, having pure fruit and veg along with plenty of water, three days was enough to have a really good cleanse. The emphasis with our juices is on being revitalised and re-energised – and I am careful to ensure that my detox is nutritionally balanced. Our juices contain more raw vegetables than fruit and so have more nutrients and fewer calories. You could drink any juice and feel good because it’s an injection of vitamins and minerals, but with this programme we specifically include every food group so that you are not left hungry. For instance I really like avocados because they contain essential fats and protein that your body requires. A lot of people who diet might not include those things, but it is important to have everything. I think people are becoming more health conscious and aware of the good natural food and drink they’re having. I have gotten such amazing feedback from my clients – especially working mums like myself who just don’t have time for themselves to make juices and clean up after – that’s how I got into this and I am so happy to be able to help mums just like me! We do all of it for you – no hassle, and delivered to your door! Find out more about our juices and their benefits. Ready to try the benefits of our Juice Detox plans for yourself? * Results may vary from customer to customer. "I can see a huge difference in my skin and the whites of my eyes. It is not easy but worth it for a total cleanse!" 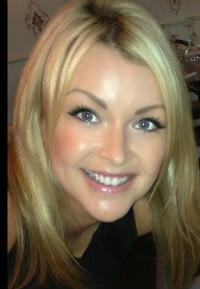 "I recently followed a three-day juice detox from juicedelivery.ie and felt fantastic. It’s delivered to your door which takes all the hassle out of it for you." "Your skin and eyes sparkle after 3 days, it’s amazing."